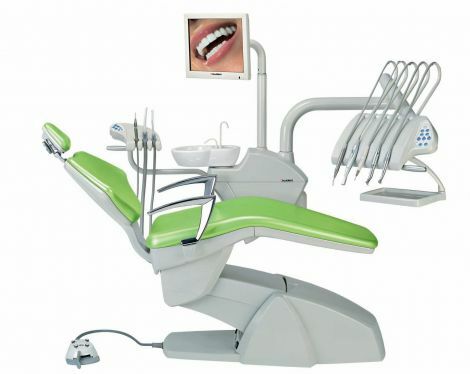 Cleardent is pleased to present a comprehensive range of premier dental treatment units to the health professional. Cleardent has selected products from reputable manufacturers including Kavo, Stern Weber, Anthos & Swident, for their quality, style and reliability. For the Orthodontist we have dedicated treatment centres designed with the specialist in mind. See the Orthodontics page for further information. To complement your treatment unit we offer a design and planning service for cabinet systems and worktops tailored to suit your individual needs. In addition Cleardent can provide an excellent reliable after sales service for all your equipment repair and maintenance needs. Based in Milton Keynes, Cleardent's coverage area includes: Bucks, Beds, Herts, Cambs, Northants, Oxfordshire, Berks, Leics and Warks. For Mikrona Orthodontic treatment units, coverage is nationwide.